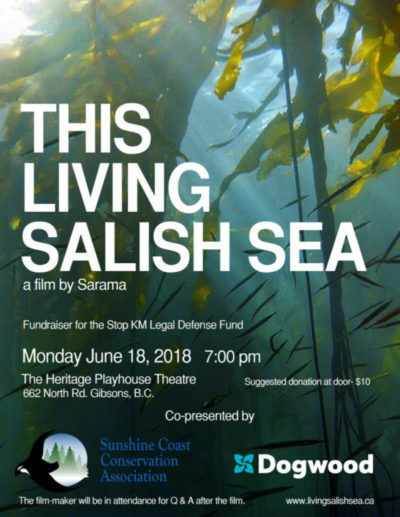 Dogwood and Sunshine Coast Conservation Association are pleased to invite you to a special big-screen presentation of This Living Salish Sea, on Monday, June 18 at the Gibson’s Heritage Playhouse. Support local storytellers. Join with your neighbours to defend the place we live. Proceeds above screening costs will fund the legal defence of citizens defying Kinder Morgan court injunctions.